Cruise and cycle are two words that would never be found in the same sentence. In the same way, no bike enthusiast would imagine these two activities coming together on any given day, or vacation for that matter. Well, that was my initial reaction when I came across Cruise Cycle by Dream Cruises. But, give it a shot and you might just see how perfect a holiday it can be, as I have come to experience. 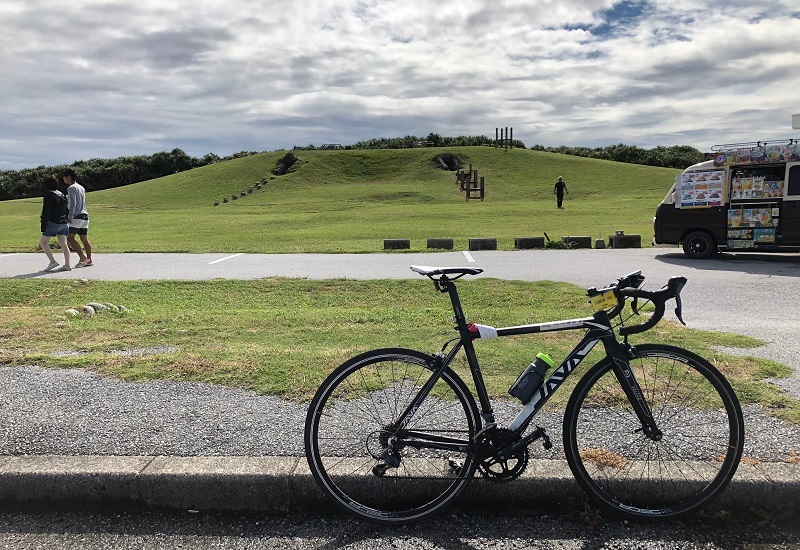 While I am not a pro-rider, I would think my two to three rides a month, the occasional sportive races, and my moderate obsession with road bikes do qualify me as a bike enthusiast. After a while, the usual routes in Singapore tend to lose its appeal (unless you biking is a cover for the weekly food trail). But like many, I started fantasising my very own Tour de Somewhere-other-than-Singapore. I dream of cruising on my bike in cool weather, smelling the ocean, taking in different sceneries at break points and just experiencing something different — a wanderlust on wheels. 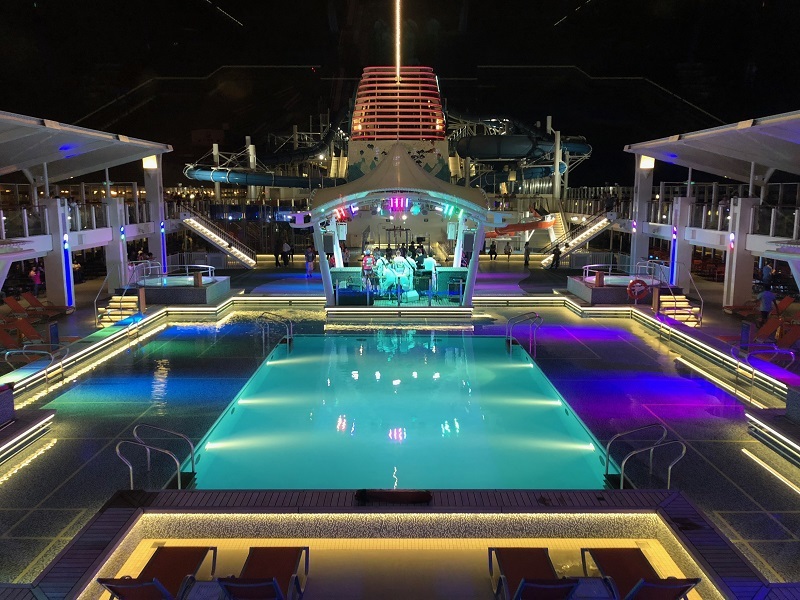 So when Dream Cruises presented the itinerary for their inaugural Dream Cruise Cycle, I jumped on it as soon as I got over my initial skepticism. 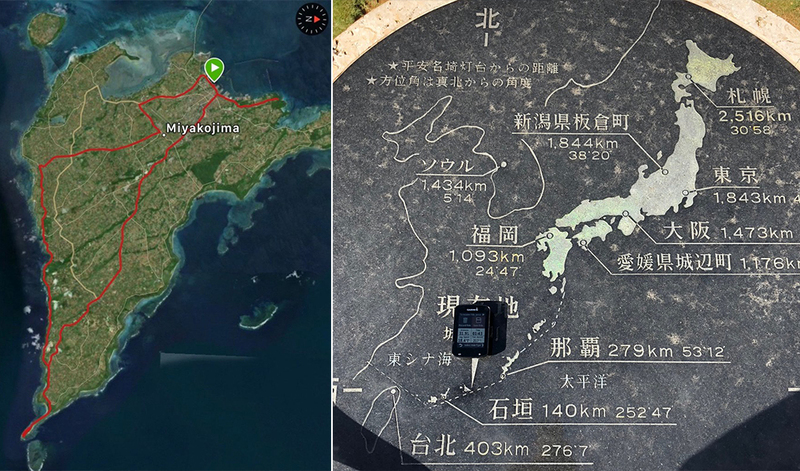 I often contemplated overseas cycling trips. It was the concern over logistics, the constant unpacking, a different hotel each night etc. that cooled my enthusiasm. But Dream Cruises’ 8D7N Cruise Cycle dispelled whatever doubts I had. The itinerary included flights to and from Hong Kong, two nights’ stay at the Park Hotel in downtown Tsim Sha Tsui, five nights on the World Dream cruise and a total of three cycling rides — the first being the annual Hong Kong Cyclothon (50km), a second in Naha, Okinawa (38km) and third on Okinawa’s southern island of Miyakojima (65km). I had a compact frame Twitter for the 50km Cyclothon and a Java for the other three rides. Like I said, very decent bikes with good setup – carbon frame, Ultegra Groupsets and lights. I fixed on my cleats, cycling computer and brought my own helmet. Apart from assembling and packing your own bike on the first and last day, all logistics were catered for – from bike fitting, to spares, tools, custom clearances at the different ports of call. It was awesome that the Cruise Cycle group was the privileged one; we were always the first to disembark and had our very own coach for ground transport. The World Dream crew help us with our bikes on and off tender boats. The World Dream ship crew had our bikes wheeled in and out of storage, on and off tender boats to get from ship to shore. They would only hand over the bikes to us to zip across customs and immigration, and voilà! off we went on our adventure. Did I mention that they wiped down our bikes too? Well, they had to as immigration in Japan required equipment be free from soil, mud and plant materials. Impeccable service! Hong Kong Cyclothon flag-off at 4am in the morning at Salisbury Road. Most holiday trips to Hong Kong focus on eating and shopping. 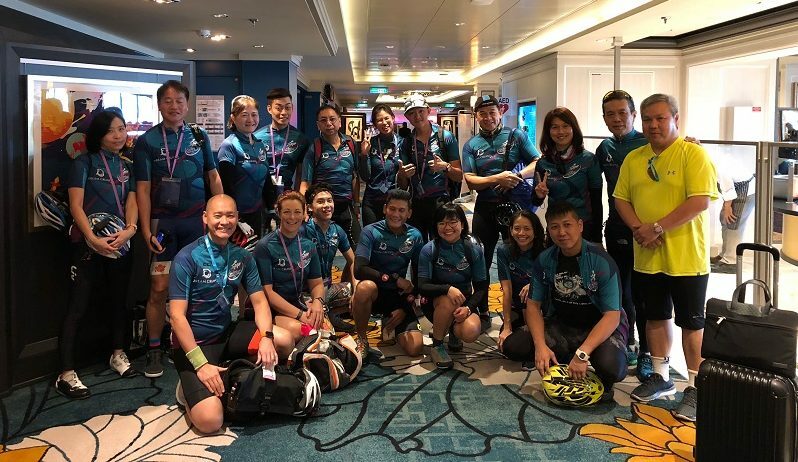 While we had time for those activities on this trip, the highlight for me really was the annual Sun Hung Kai Properties Hong Kong Cyclothon. 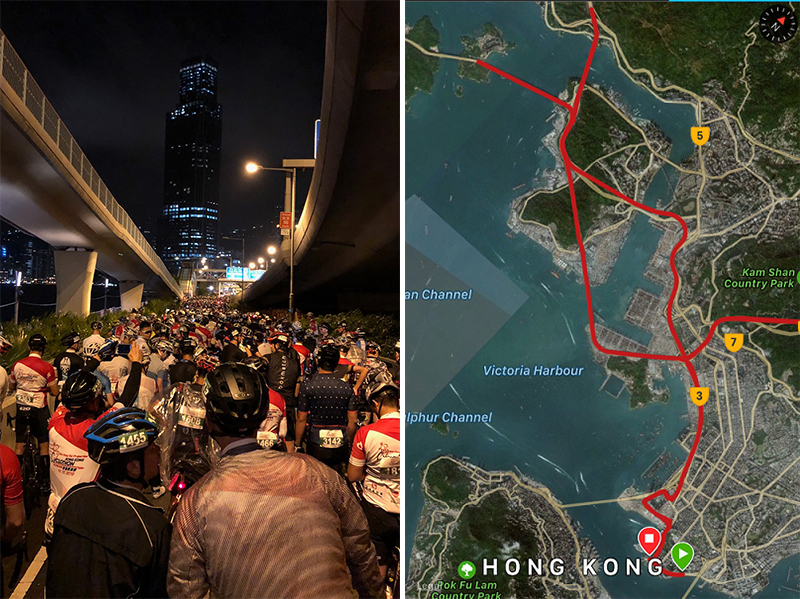 With 5,000 participants, the 50km sportive race started from Tsim Sha Tsui, onto Cheung Tsing Bridge, through Nam Wan Tunnel to Stonecutters Bridge and Eagles’ Nest Tunnel- and yes, roads closed. Imagine Singapore’s OCBC race, but with Hong Kong’s skyline, scenery and a 22°C climate. 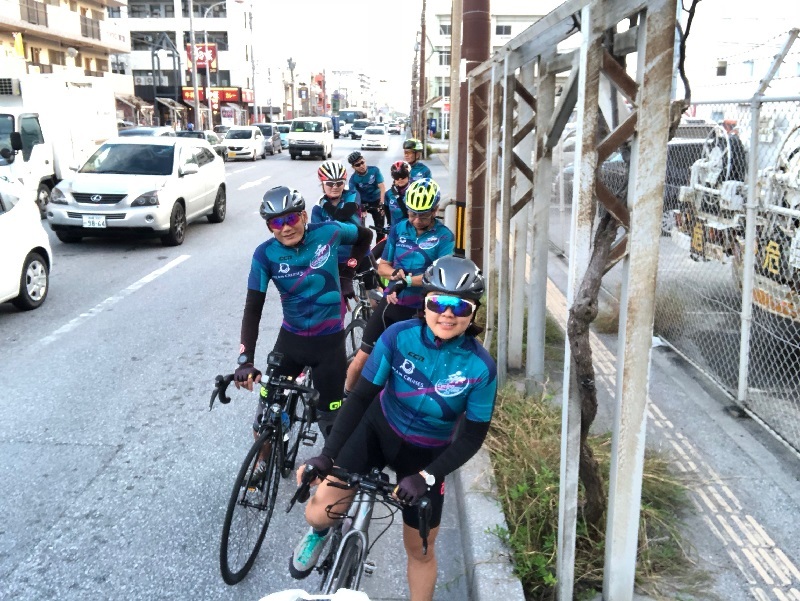 For those familiar with Hong Kong’s terrain, you know to expect quite a few climbs. We had to push ourselves but like all races, that sense of achievement at the end made it all worthwhile. Starting point at Naha, Okinawa. 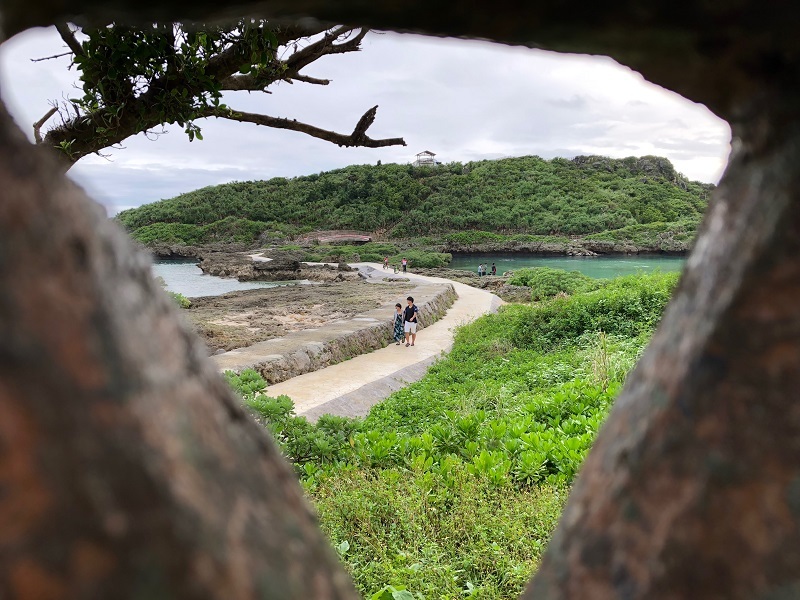 After being at sea for one and a half days on-board the Dream Cruise, our first stop in Japan was Naha, the capital of the Okinawa. Intended as a night ride in the city, we disembarked late afternoon, and it was close to 5pm by the time we hit the road. Starting along the coast, we were quickly met with peak hour traffic and things came a crawl all the way to our pit stops at American Village and Kokusaidori Street where we had some time for shopping and dinner. 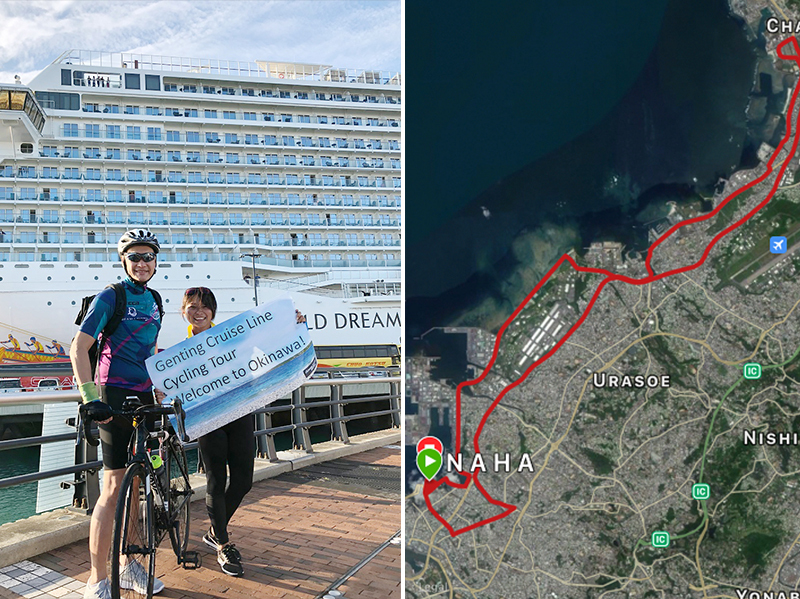 While Naha is an awesome city, the ride itself was the least enjoyable of the three. I guess I did not anticipate the heavy traffic. But most of us in the group agreed it was a good change of scenery and we were excited to savour the local food. And speaking of food, I figured since I would be burning quite some calories on this trip, I treated myself to Okinawa’s chocolate soft serve ice-cream. The decadence was compounded by a cone that is like nothing I’ve ever had with ice-cream — not your regular wafer but the Japanese milk butter cookie. Oishī おいしい! 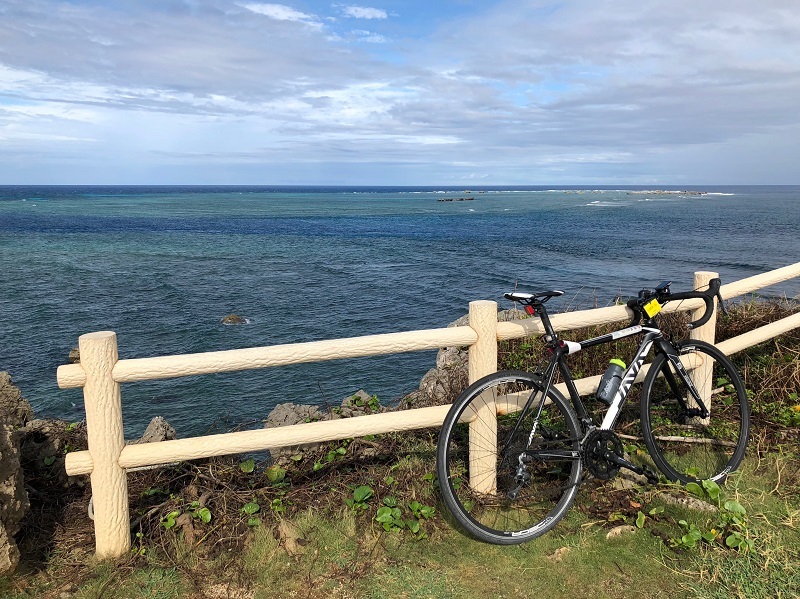 Riding on the roads and coast of Naha. Miyakojima is one of the largest populated islands in southern Okinawa and relatively close to Taiwan. 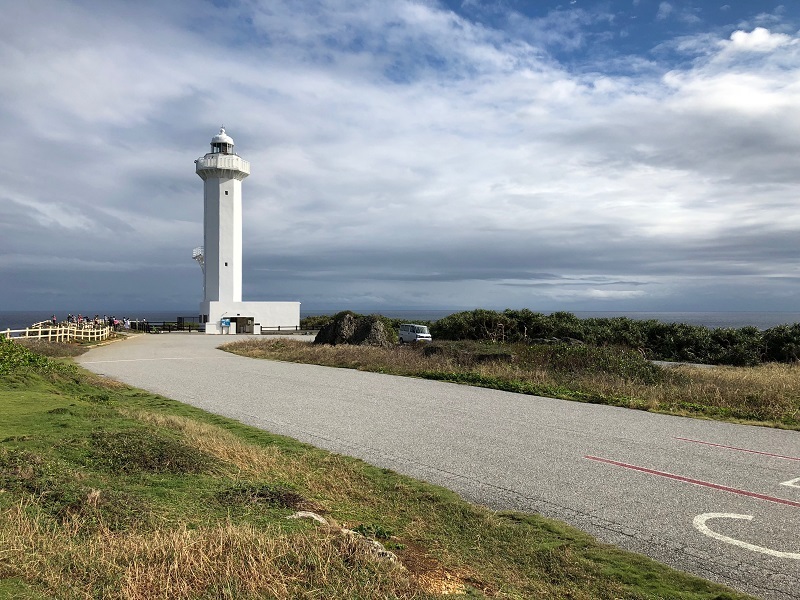 This ride was by far my favourite; there were some tough climbs, elegant descends, but with awe-inspiring scenery, climate and (the coveted) ocean scent to motivate myself to push across the finish line. There were some rain when we started, but that did not dampen our spirits in any way. Thankfully, the weather held up and the sun showed up soon enough. Rock formations all along the coast to the southern tip of Miyakojima. Mid-point was the lighthouse at Higashi-Hennazaki. The lighthouse is among Japan’s top 100 lookout points over the cobalt-blue sea. We spent a good hour taking in the sights, and “refueling” with a super yummy local energy jelly-drink kindly provided by our local cycle guide. The lighthouse at Higashi-Hennazaki serves as our mid-point stop. On the way back, we did a final stop at the Ingya Marine Garden Park. It was another beautiful lookout point with a path to a smaller island and within this lies a lagoon for snorkelling. 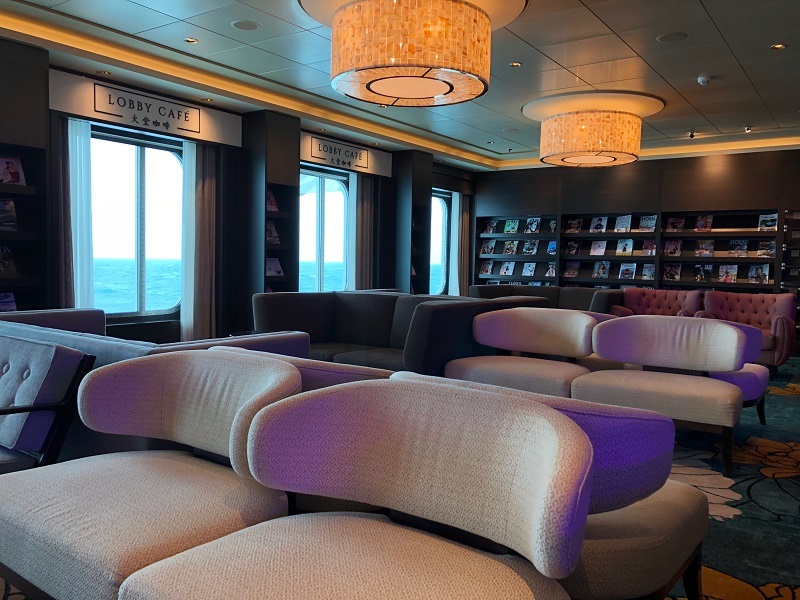 To be honest, I did not have high expectations of the cruise segment when I first started on the trip. For one, I haven’t been on a cruise in over a decade, and my last cruise holiday wasn’t that memorable. I was more sold on the cycle part of the package. But the Genting Group did a great job in differentiating the experience onboard the World Dream. The ship was very well appointed and with a wide spectrum of activities to cater to almost everyone from the young to the old. In addition to the usual gym and pool, the adventurous can go for rock-climbing, zip-line, obstacle courses and a selection of slides. 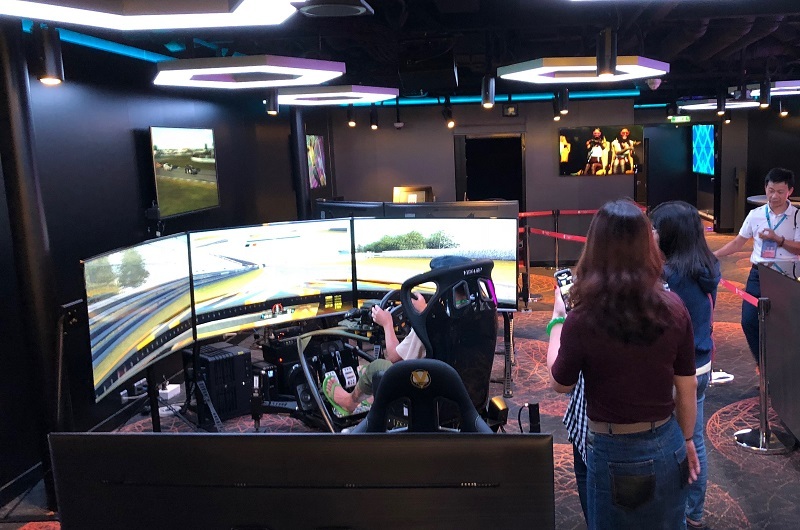 Those into gaming are in for a treat; there is an entire hall of PC games, arcade and virtual reality stations. And perhaps the most impressive was the live entertainment. There is a continuous string of live bands, game shows, dance performances, and theatrical acrobatics. 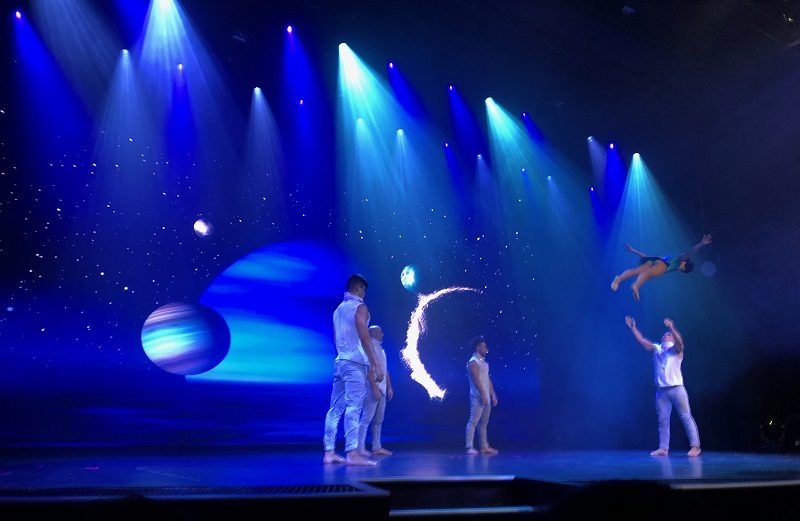 I was really blown away by Sonio, a multi-act performance held in the World Dream’s Zodiac Theatre; it’s a story brought to live through world-class acrobatics, dance and rock n roll music (think Roxette! ), all against a massive creative LED backdrop with state-of-the-art visual technology. And for those looking for quiet spots to escape to, there are many where you can lounge with a book and coffee. 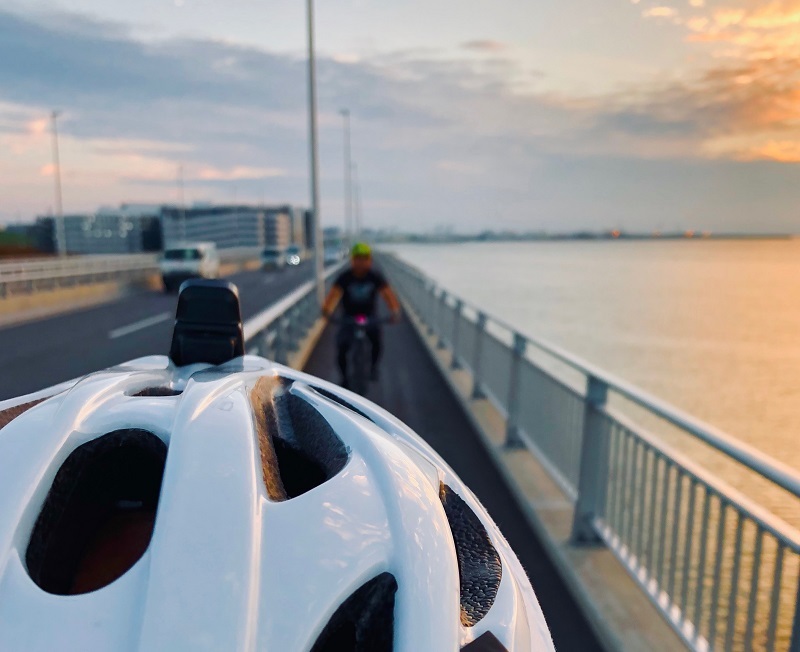 For me, this was a perfect cycling vacation — a rhapsody of sportive race on the streets of a modern financial centre, a night ride in a touristic city, and a scenic escapade on wheels to the countryside. Each had varying degrees of difficulty, but manageable for most bike enthusiasts. 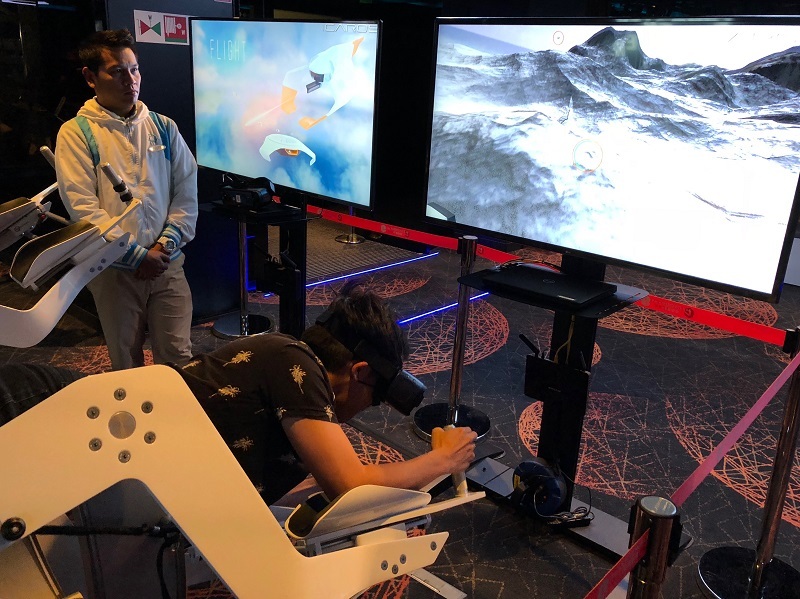 What made it more enjoyable was the comfort and adequate time between rides onboard the World Dream – food, entertainment, spa, down time… you get the picture. Cruise Cycle group on board the World Dream. 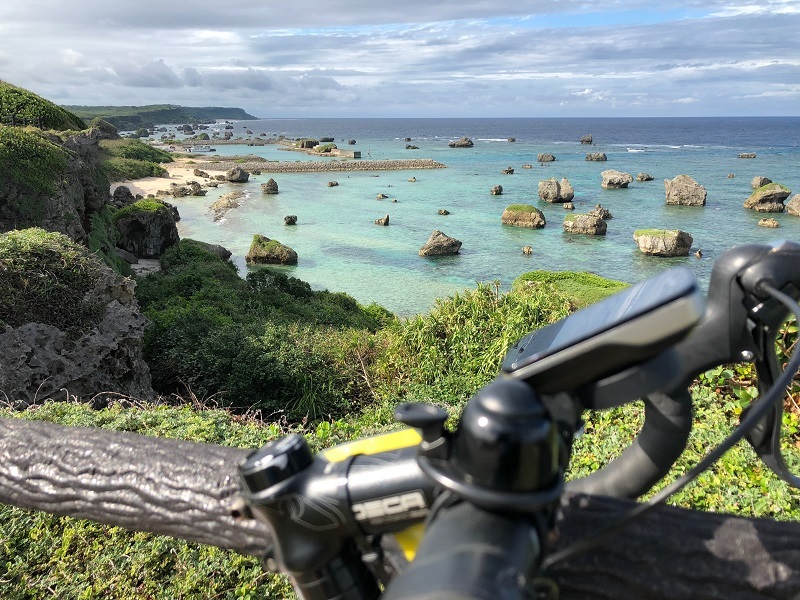 For more details on “Cycle Okinawa with World Dream”, visit the Dream Cruises website. This article is written by Jonathan Tong.